I’ve been working on this book for well over two years, and I’m happy to say that it is now available! Know and Tell explores some of the reasons that narration is such a powerful and effective tool in education. It also follows the progress of narration, step by step, from early oral narrations to developed writing. It’s full of narrations from real children so you’ll have an idea of what narration looks like at each stage, and you’ll be able to see how children’s narration matures and develops. Have you been using oral narration and you’re wondering how to begin written narrations? Have your students been writing but you’re not sure how to begin more formal composition? Know and Tell brings you the experience of others who have done this and shows you how you can do it, too. If your children grumble about narration and don’t enjoy it, I think you’ll find the reports of some grown-up narrators in the final chapter especially encouraging. It doesn’t matter if they enjoy it—narration works anyway. It’s my hope that Know and Tell will give teachers confidence in the method of narration—enough so that they persevere and give their students the strong skills—oral and written communication as well as higher-level thinking—that develop in full when narration is not abandoned. It’s finally here! I really cannot express how very pleased I am to say that Charlotte Mason can now be read in Spanish! De mente a mente: ensayo hacia una filosofía de la educación , the Spanish translation of Mind to Mind is available. The Kindle version won’t be far behind. This work has been a labor of love for translator and Spanish editor Silvia Cachia. 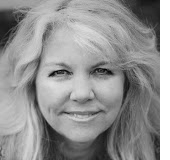 If you understand Spanish, listen to what she has to say about her work translation work, and other material that she has made available to help those who speak Spanish use the methods of Charlotte Mason. If you know someone who would want to read Charlotte Mason in Spanish, please share. I think this is a really special thing, and a milestone in the spread of Charlotte Mason’s ideas. Charlotte Mason is available in Spanish! I’ve been reading some fascinating books and posting to the blog pretty consistently in 2017. One combination of those two things is an upcoming blog series based on my reading of In Memoriam, published by the PNEU (Parents’ National Educational Union) shortly after Charlotte Mason’s death. It’s a collection of all kinds of material (some of it authored by Mason herself) from the PNEU, personal memories and testimonials, and a celebration of her work and ideas. This summer, I’m writing a weekly series to share some of the interesting things I encountered as I read. Here’s the first one! Thank you for reading and thinking. My motto is “never stop learning,” and I love knowing that I’m not alone in my love of reading, thinking, and learning. Among both school and home educators, Charlotte Mason’s methods and Classical Education have long been considered two different things. In fact, they should not be. Charlotte Mason deliberately looked back to classical educators such as Plato, Plutarch, Comenius, and Milton for her inspiration. She drew her ideas from the past and presented them to her contemporaries in a form that was easy to understand and implement. She wasn’t just a marginal Victorian teacher—she was a modern thinker whose ideas about education have their source in the classical past. Because the postmodern world that we live in finds its beginnings in the world she lived in, her message is still pertinent and timely, and needed even more sorely than when she first wrote. 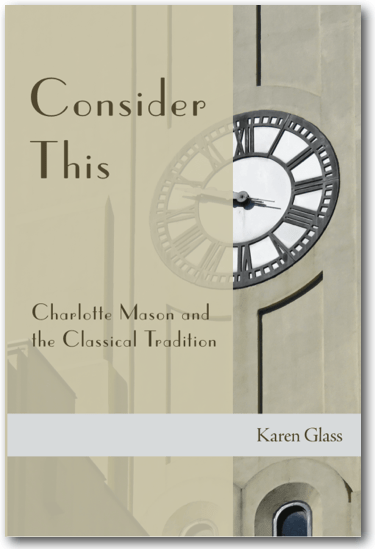 Consider This: Charlotte Mason and the Classical Tradition takes a look at the most vital ideas that influenced the classical educators and shows how Charlotte Mason’s principles reflect the same ideas and values. Read more, watch a video preview, and get the free study guide. If you are familiar with Charlotte Mason’s writings, you probably know that the title of her last, most mature book was An Essay Towards a Philosophy of Education (shortened to A Philosophy of Education in modern reprints). With fear and trembling, I have ventured to shorten more than the title of this last volume in order to make it more accessible to modern readers. If you have found reading Charlotte Mason’s original volumes a bit daunting, but still want to read her own words for yourself, this may be the book that you need. Read more about the nature of this project, and download the first chapter! I can’t wait to see the Spanish copy. is there a Polish version? Love all the work you are doing in the cm community. Thank you.